Results and top performers from Day 7 of the 2018 Under-16 Australian Championships being held on the Sunshine Coast, Queensland. For a full review of the Day 7 games as well as the draws, ladders and top performers, click here. It will be an all Victorian affair in the gold medal games today with Vic Country and Vic Metro facing off for both the girls and boys Championships at 4pm and 6pm respectively. 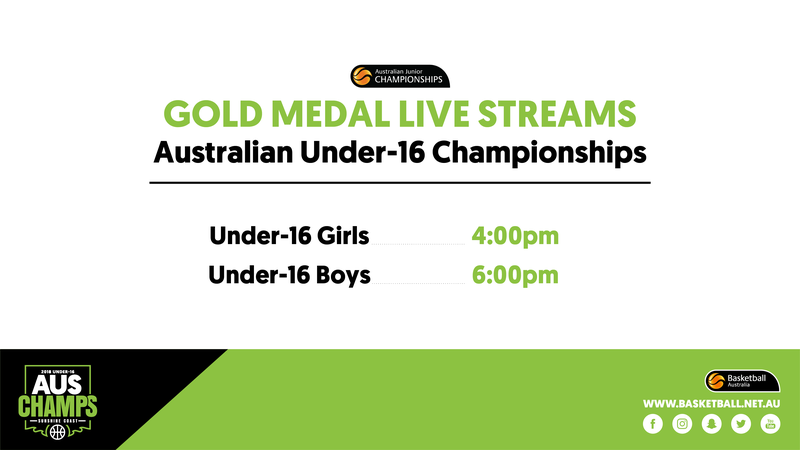 Both games will be live-streamed on the Basketball Australia Facebook page. Vic Country sealed their place in the girls final with a 66-46 victory over Qld North as Piper Dunlop (20 points, 22 rebounds) recorded a monster 20-20 game. Head Coach Joseph Turner was not only proud of the girls performance in the Semi-Final but their entire tournament. “Everything for us comes down to the effort that we put in, how well we play as a team and our ability to play defence and execute scouts," he said. “It’s great for the girls to have the opportunity to playoff for a national championship. They’ve put the work in throughout this whole campaign and they’ve improved every game so I’m really happy for them." Vic Metro matched their state counterparts with another impressive performance in their Semi-Final, defeating NSW Metro 74-59 after Tess Heal top-scored with 23 points and they won the bench battle 27-12. “Historically, athletes out of Melbourne have got a great competitive spirit," said Vic Metro High Performance manager, Michael Czepil. "We’re really focusing on the ability to shoot right now and we want to develop athletes that are able to make shots. Aside from that, having really skilled athletes within our high performance program is what we are aiming to produce. In the boys competition, Vic Metro also got the better of NSW Metro as they prevailed 76-61 and head coach Dom Linossier could not be more pleased. “It’s a long preparation, we start with trials in February and the boys have been working really hard for that so we’re excited to have earned it and they’ve done all the work so it’s fantastic to see them be able to have the opportunity to play for a gold medal. They will battle Vic Country who out-scored SA Country 48-20 through the second and third quarters on their way to a 23-point victory. Benjamin Hobbs and Tonga Matapule Otutaha collected double-doubles each while Christian D'Angelo top-scored off the bench with 18 points. 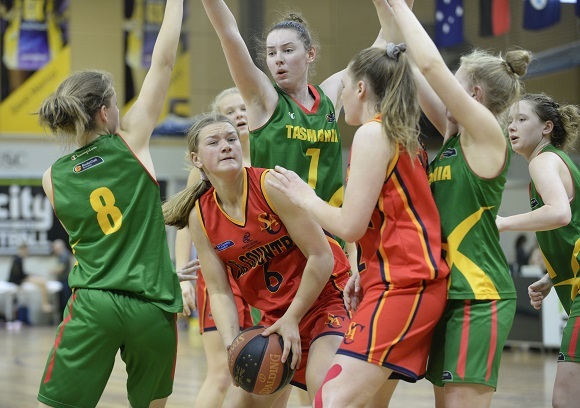 Don't forget the bronze medal games will also be played today with SA Country and NSW Metro fighting it out for the boys at 2pm while NSW Metro and Qld North meet at noon for the girls bronze medal with the final classification games also to be played out.